Every food item we eat needs water for its production, but different foods require different amount of water. What do you think consumes more water: a steak, a glass of milk, a piece of bread or a cucumber? The short answer to this question is that the steak is the biggest water consumer. However, this answer is not enough, it is much more complex than it seems and requires that we understand more of the complexity behind water use in agricultural production. 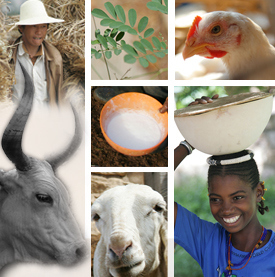 Regardless of whether you think livestock products is a key ingredient of your every meal or not, it is an important part of human diets globally, especially in low-income countries. 1 billion people in these countries depend on livestock, and it has a significant value for battling malnutrition in many places around the world. Tags: CGIAR_DD, CSIRO, Stockholm Environment Institute, Wageningen University, Water, Ylva Ran. Bookmark the permalink. Previous post ← Let’s get political – Vote for pastoral land rights!